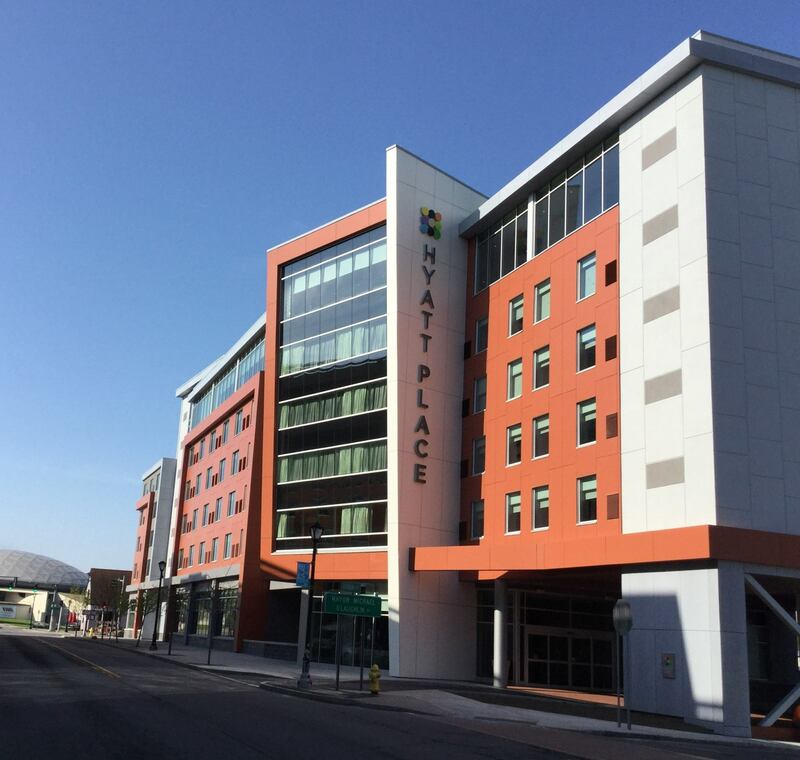 NIAGARA FALLS, N.Y. (May 15, 2018) – Hyatt Place Niagara Falls, the second Hyatt Place hotel in the Niagara Falls/Buffalo area, is officially open. 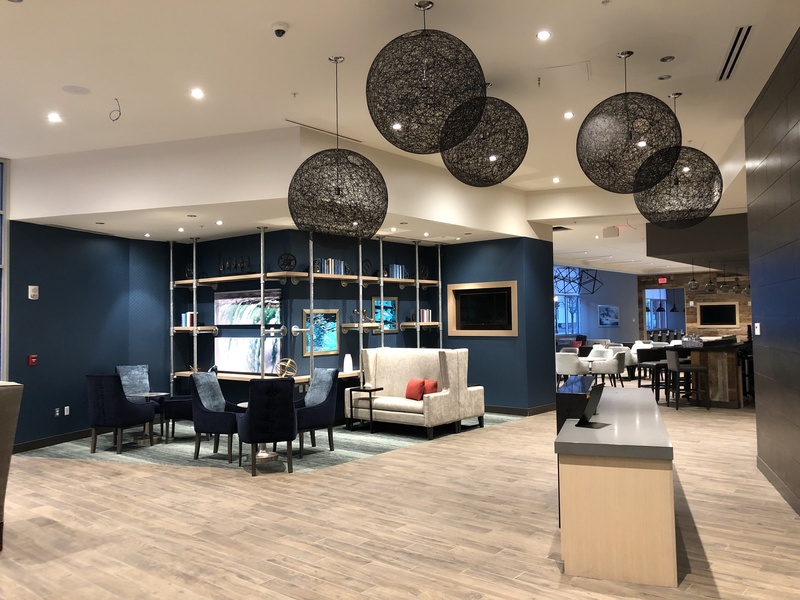 The new hotel, located at 310 Rainbow Blvd, Niagara Falls, New York features the Hyatt Place brand’s intuitive design, casual atmosphere and practical amenities, such as free Wi-Fi and 24-hour food offerings. This hotel is owned and operated by Hamister Group, LLC. One block from Niagara Falls State Park, guests can enjoy the awe-inspiring views of the Niagara River’s three waterfalls, as well as unobstructed views from the Niagara Falls Observation Tower. Hyatt Place Niagara Falls is under the leadership of General Manager Stacie McDonald and Sales and Events Manager Sarah Wyzykiewicz. In her role, McDonald is directly responsible for managing the day-to-day operations of the hotel, including overseeing the hotel’s 45 associates and ensuring guests encounter the thoughtful service for which the Hyatt Place brand is known. Wyzykiewicz is responsible for providing sales service and support to travelers and meeting planners frequenting the Niagara Falls area. Visit the hotel’s website to book meetings and events. To learn more about Hyatt Place Niagara Falls, including the grand opening, please visit the hotel's Facebook page for upcoming events and to view images of the hotel. For reservations and additional information, please visit niagarafalls.place.hyatt.com. Hamister Group, LLC is a nationally recognized leader in the hospitality and healthcare industries. With over 40 years of history and an excellent record of business success, the company focuses on providing exceptional service for their customers and has earned a sterling reputation for delivering superior management results. The company’s portfolio consists of hotel and healthcare properties in four states, with more than 800 coworkers united in their desire to provide exceptional service to our customers. For additional information, visit www.hamistergroup.com.